Then I found out that Rick Jaffa and Amanda Silver were two of the four Jurassic World screenwriters, and suddenly I had hope. Jaffa and Silver wrote the script for “Dawn of the Planet of the Apes,” a movie that I love. This is my review of Jurassic World! Chris Pratt is a movie star. Period. God has blessed him with a natural charisma and good acting chops. He plays the capable and focused Owen Grady, a former Navy guy whose occupation is to train and control Velociraptors (“Raptors” for short). His command over them is believable and his Navy background explains why he’s able to take charge of high-stress situations. Bryce Dallas Howard plays Claire Dearing, the park operation’s manager of Jurassic World. She’s the typical career woman who can’t be bothered to settle down, but I like that she never came off as cold or unpleasant. She’s a busy woman whose just trying to keep her business afloat. Pacing! Thank you Lord Jesus for screenwriters who understand pacing! After “Aloha” and “Courageous,” two movies that have no sense of pacing, it was a relief to see the story of Jurassic World flow smoothly. What needs to happen is put on screen, and filler is nowhere to be found. Some of the dialogue is exposition, but it’s more of characters saying, “Yes, I know who Owen Grady is,” “He’s a smart guy,” “He thinks he’s smarter than everybody.” It’s not like characters go up to each other and start telling us, the audience, everyone’s individual backstory. 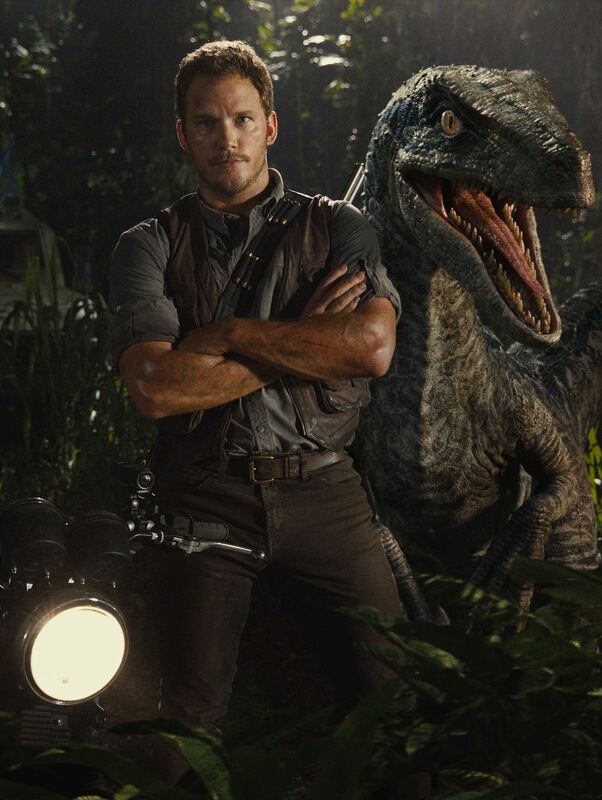 However what holds Jurassic World back is Unestablished Plot Point Syndrome, or UPP. This is where an idea from an earlier draft comes out of left field and is never mentioned again. I’ll give an example: Bryce Dallas Howard’s character has two nephew, Zach and Gray Mitchell. Their characters are typical boys and are passable actors for the most part, but then during a bus ride, Gray says, “Are Mom and Dad getting divorced?” This plot point literally comes out of nowhere. Writers, you need to establish something like this early on. When we first meet the kids, nothing about their parents’ interactions with each other indicate that divorce is on the horizon. I’m not saying the parents have to be seen arguing, but a small hint in the beginning would have been helpful. Also movies that involve characters being thrust into situations cause a story to suffer from a lack of character agency (meaning a character moves the plot with his/her actions instead of simply reacting to what is happening around them). Jurassic World has this problem. Other than that, Jurassic World is quite amazing. Great special effects, strong writing by people who know what they’re doing and developed characters make this a crowd-pleasing summer blockbuster.